With the school year kicking into full gear, many students are looking for low-stress activities to engage in during their free time. Roughly 50 people came together Thursday night at the Rosenbloom Hillel Center for a group activity: painting. 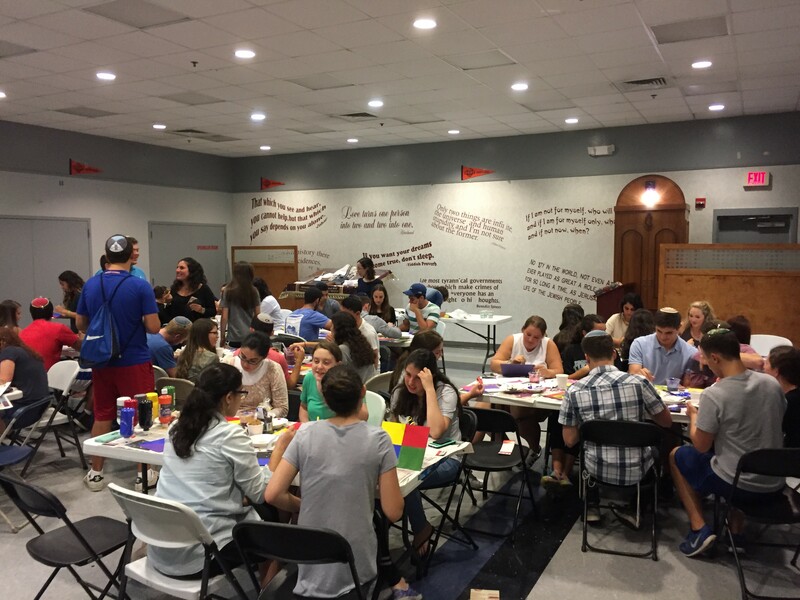 Kedma hosted “Paint Night,” an event where students gathered to relax, hang out with friends and welcome Rosh Hashanah. With soft music playing in the background and refreshments like coffee and cookies available, students sat at tables of five or six people and painted while catching up with their friends. The room buzzed with constant conversation and laughter; the vibe was similar to that of a coffee house. Students work on their paintings while chatting with friends. Harrison Goldstein/Mitzpeh. Senior art history major Miri Miller stood at the front of the room, instructing the participants on how to design their paintings. While some people followed along and made structured paintings, others used their creativity to make abstract works of art. Many participants divided their canvases into four squares, and then put something different in each square. One student put a different color in each quadrant, while another placed each letter from a dreidel in a different square. 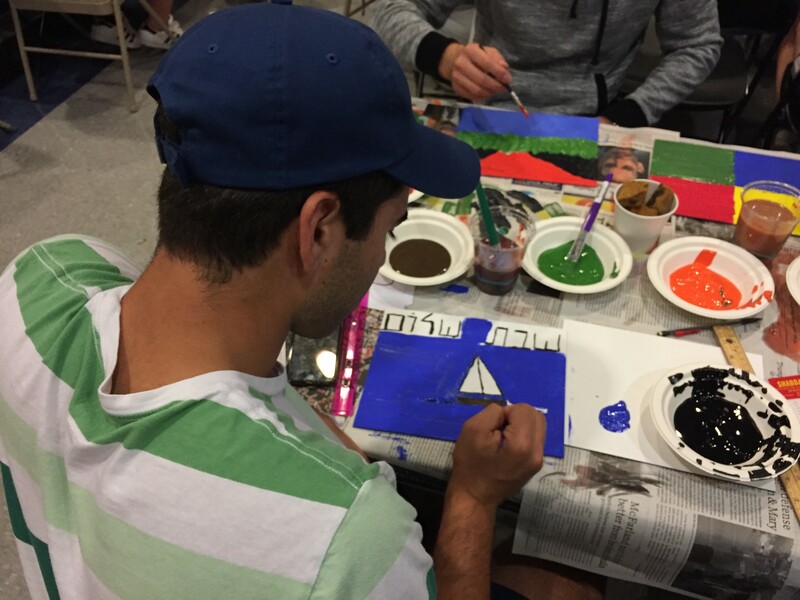 Senior accounting major Eric Greif painted his canvas dark blue, drew a sailboat in the middle, and wrote “Shabbat Shalom” across the top in Hebrew. He did not hesitate to explain how his night was going. Senior Eric Greif works on his sailboat painting. Harrison Goldstein/Mitzpeh. Kedma social chair Shira Clements said the objective was for the participants to identify their goals for the coming year and convey them through art. 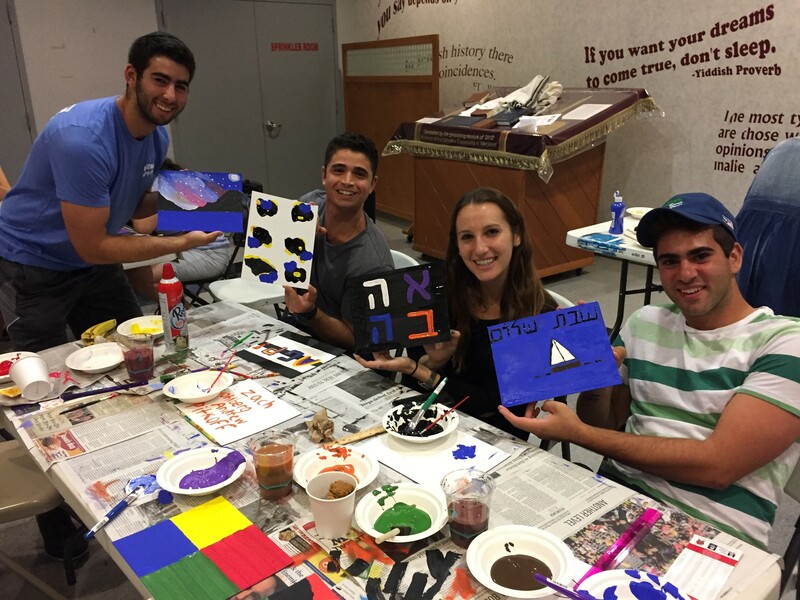 While the social interactions and painting were important aspects of Paint Night, Kedma President Aaron Yitzhaky emphasized the deeper meaning of the event. Left to right: Zach Wohlberg, Aaron Yitzhaky, Amanda Povman and Eric Greif flaunt their masterpieces. Harrison Goldstein/Mitzpeh. The most common takeaway among students from the event was the sense of community that Kedma’s Paint Night fostered within its participants. People walked around with smiles on their faces, talking to their friends and having fun creating their own personal masterpieces. Sophomore special education major Mayan Beroukhim was appreciative of the opportunity that this event, and others like it, afford her. No Replies to "Kedma welcomes Rosh Hashanah with painting, music, refreshments"